Compared to other ICO friendly jurisdictions, Estonia excels with low incorporation and administrative costs. The company can be established without contributing the share capital and incorporation costs do not exceed EUR 1000, as opposed to Switzerland where the corresponding costs could reach up to thousands of euros. The process of incorporation is also swift and simple due to the successful application of the e-residency program, which allows its members to incorporate a company in one day and without being present in Estonia. Most importantly, e-residency allows businesses to be managed from anywhere in the world, whereas in Switzerland and Singapore, a local direction needs to be appointed. Although, the likes of Malta and Japan do not have such requirements, administrating a company remotely is extremely difficult due to the necessity of physical paperwork. As a member of the European Union, investors could also rely on the stability and transparency of the EU market, as opposed to off-shore and Asian regions that lure its investors with anonymity and rapid development while being threatened by various economic and legal uncertainties. Many states have become cryptocurrency and ICO havens due to its positive public image towards cryptocurrencies. However, in most cases the hype is not backed up by many legal guarantees. Estonia, in its uniqueness, has already introduced virtual currencies and relevant licenses for trading and wallet services in its legislation, providing legal assurance for cryptocurrency related activities. The licenses could be applied for without visiting Estonia and the license is obtained within 30 days of submitting the application. The directors of the company could also see the status of the application online by logging into the government portal with their e-residency cards. In no other jurisdiction is the application process that simple and effortless. Estonian tax authorities have also provided clear guidelines for the taxation of cryptocurrency transactions, i.e. exchanging cryptocurrency for fiat currency and vice versa, is exempt from taxation. In Singapore, for example, the corresponding tax rate is 7%. Estonia also does not have a capital gains tax, as opposed to Japan where up to 55% of the gains are taxed. Estonian Financial Supervision Authority (EFSA) has provided clear guidelines for conducting ICOs. Namely, only ICO’s involving security tokens need to be registered with the EFSA. ICO’s concerning utility tokens are not under the supervision of EFSA. Therefore, Estonia offers a perfect middle ground for ICO regulations, as opposed to Malta where the cryptocurrency field is by many experts considered as overregulated, or Gibraltar where the field of ICO’s and cryptocurrency remain a grey area. In Japan and Malta, companies are also obligated to register utility token ICO’s. The EFSA is also eager to communicate with companies that would like to enter the Estonian market and it is even possible to request for a case-based legal opinion from them. Not all countries have such a friendly approach towards foreign investors reaching out to the local business environment. 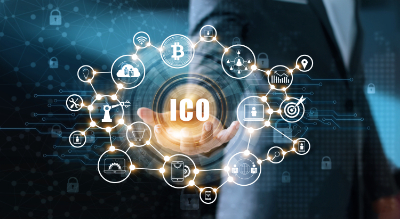 For example, Switzerland’s Financial Market Supervisory Authority (FINMA) has recently published quite restrictive guidelines for companies that wish to conduct ICO’s. Namely, FINMA has prescribed that ICOs must use a Swiss company to perform KYC on all ICO participants, eventually leading to the monopoly of Swiss KYC companies that charge up to EUR 20 per check. Multiple companies have already postponed their plans on a possible ICO in Switzerland. Although, the guidelines are not legally binding, not following the guidelines leaves the company and investors with major doubts. As anywhere in the EU, obtaining a bank account for cryptocurrency related companies is challenging due to the extensive AML regulations. However, Incorporate in Estonia is currently partnering with two UK licensed international payment service providers that are open to onboarding crypto-companies. Most importantly, no face to face meeting is required. Although, many may think that a bank account is inevitable for operating a company, payment service providers have proven to be more flexible and thus more open to new business models, such as ICO’s and cryptocurrency exchanges. For most companies, payment service providers fulfil their needs completely, offering an IBAN account with the option of international payments. Although, many cryptocurrency havens in the likes of Switzerland, Singapore and Japan claim to open bank accounts for cryptocurrency related companies, the process is definitely challenging and without any guarantees. Below, you can see a comparative table of popular ICO jurisdictions.